Digital fish scales are relied upon to provide accurate information on how much fish weigh during recreational angling competition events, and the readings from these scales are then used to supply point scores for the competing anglers. The digital scales used in competitive environments are known as ‘catch and release scales’ and come with weighing nets that help to reduce the risk of mortality and injury to the fish. 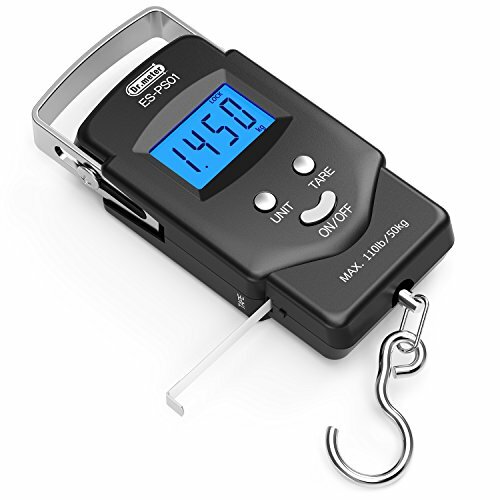 On the other hand, there are stainless﻿﻿ steel hanging scales with hooks to hold the fish in place, which is easy to clean and come with a waterproof casing for added convenience, while providing different size options to suit various applications. So you can get compact ones that are lightweight and easy to travel with on a private excursion. Lastly, spring scales are an accessible and relatively reliable option for anglers, in that they don’t use batteries, so you don’t have to worry about them dying out while you’re still busy using them. 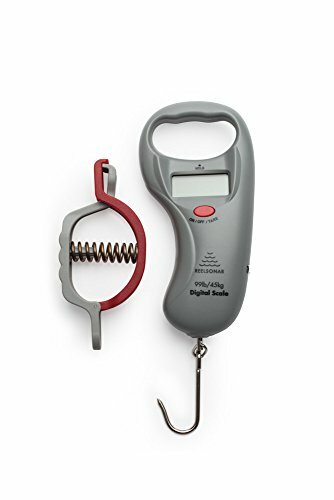 Spring scales are typically constructed from plastic, and the only downside to them is that they won’t give you an accurate reading right away, if at all. Digital scales are preferable because they weigh each fish according to the species average, instead of just using one measurement average for all the different species, which results in more accurate reading and deductions. Quality scales are typically constructed from hardy materials like stainless steel, and although carrying a higher price tag, will offer you more accuracy and efficiency. Some of the tell-tale signs of a good quality scale will be its handles. 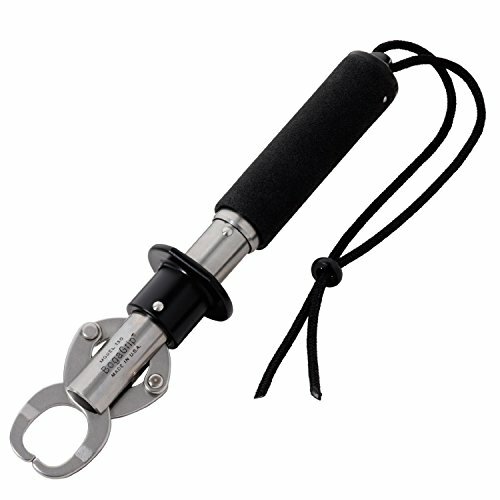 Your fishing scale handles should have durable grippers to help you weigh unusually large fish without breaking or slipping. Below is a list of the our top 5 picks of some of the best fish scales on the market, tested and rated for your shopping convenience. With its lightweight design, LCD screen display and a weighing capacity of up to 110 pounds, this handy scale from Dr. Meter provides accurate reading and convenient features at a steal of a price. Said features include a 1metre built-in tape measure, a metal hand strap to keep it from getting lost, and a durable stainless steel hook which is effective but not sharp enough to cause harm to the fish. To preserve its AAA batteries, the scale comes with auto-off and data lock functions, and can easily switch from one weighing unit to the next without hassle. 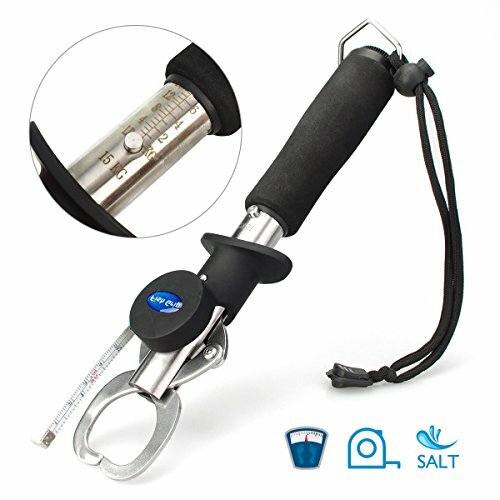 With stainless steel construction, a rust proof Ticoze gripper with TPR coating and a wrist wrap to prevent it getting lost, this all-in-one scale is the ideal companion for a busy angler that requires a tool for both saltwater and freshwater conditions. It's super lightweight and portable, making it easy for you to operate this using just one hand, while the scale screen makes for easy and accurate reading. The gripper’s strong jaws are expertly created to hang on to fish without causing injury. 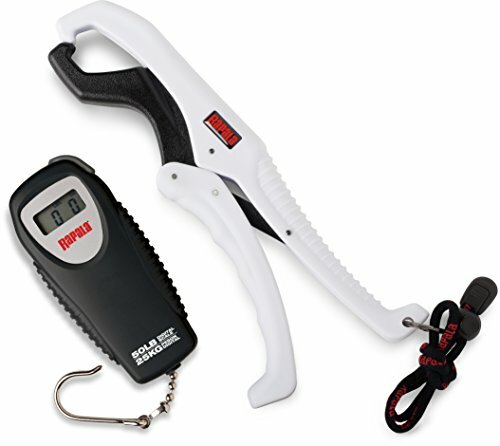 This Boga grip scale is specially designed to handle difficult to catch fish in both saltwater and freshwater conditions, by providing superb catch and release action through its durable construction from acetal and stainless steel. It has a weighing capacity of up to 60 pounds which it can achieve in ¼ increments. The scale is carefully constructed with a rotating grip, to make for smooth operating with one hand, and it feels balanced and solid while weighing with it. This convenient and versatile digital fish scale can weigh fish of up to 50 pounds in weight and comes with a gripper and a battery that can run for 400 uninterrupted hours. It’s quite a reliable and accurate scale, and the gripper is easy and straightforward to use, which makes it ideal for novice anglers. This digital fish scale from ReelSonar features a built-in 39-inch tape measure, a stainless steel hook and a removable fish lip grabber. While the batteries can last for up to 500 hours, the scale has an auto-off function to help you preserve it for longer, and the LCD screen makes it easy to read and accurately record weight measurements. It’s worth a mention that this scale is very lightweight and easy to carry around, making it ideal for a number of applications and the weighing of different species. One can never underestimate the benefit of having a good quality weighing scale when angling, and it’s even better when the scale can offer you features that enable flexibility, versatility, and durability. The benefits of an accurate scale could mean the difference between getting an accurate weight reading or losing an important catch due to being 'difficult.' So the quality of a good scale is non-negotiable, and we hope that this article has helped you to find the perfect one for your preferred application.